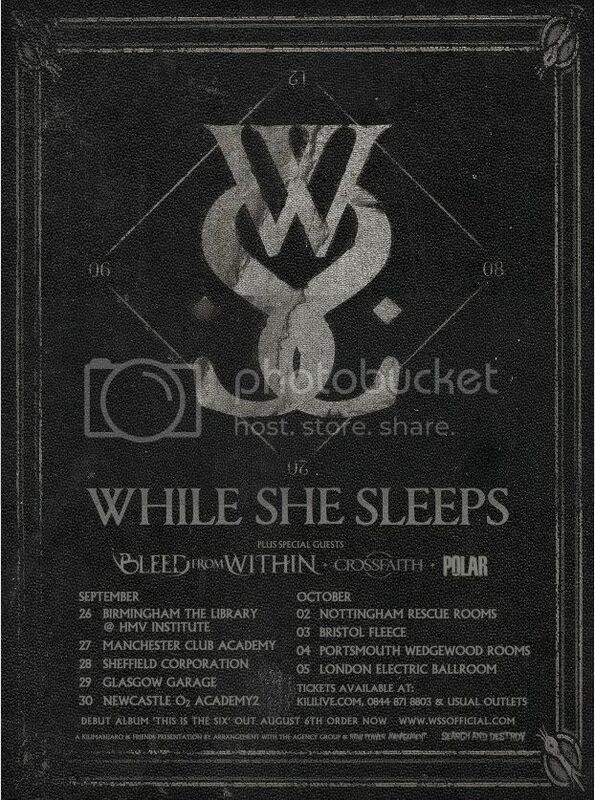 HomeNewsNEWS: While She Sleeps announce headline UK tour this September/October! NEWS: Gold Kids announce they’re to call it a day! NEWS: While She Sleeps fail to make US tour; appeal launched to raise funds for new flights! NEWS: While She Sleeps share video for new song, ‘Haunt Me’! NEWS: Ghostfest 2011 make first line-up announcement!